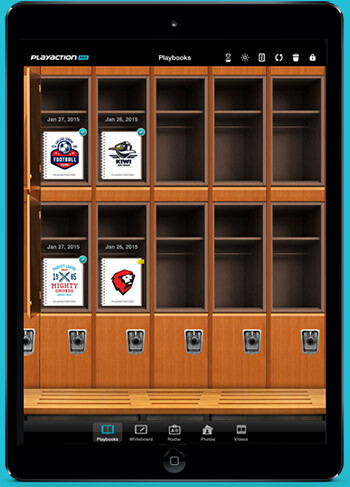 The Digital Playbook App for Pro, College & Amateur Sports Teams. 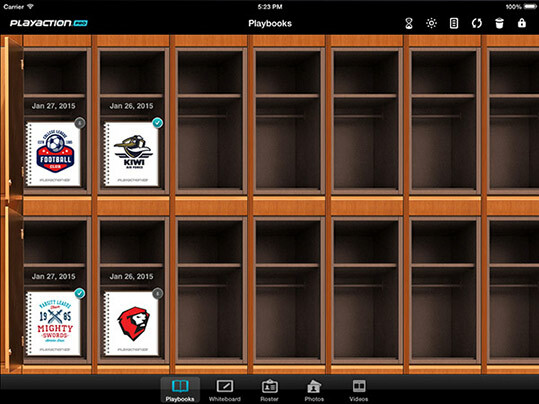 Give your gameplan a winning edge with PlayAction®PRO, the enterprise application suite designed for your sports team and developed for the iPad.® Our digital playbook solution eliminates the need for clunky three-ring binders and cluttered stacks of DVDs. 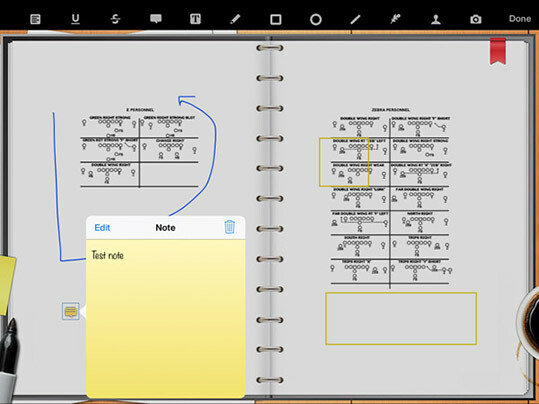 Efficient and affordable, PlayAction®PRO is a secure and portable software platform that enables team preparation, performance, communication and collaboration. 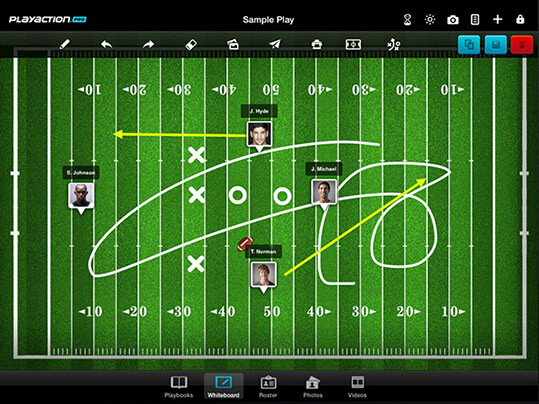 PlayAction® PRO's interactive touch-screen technology better prepares coaches and players, allowing them to interact, collaborate and communicate more effectively. 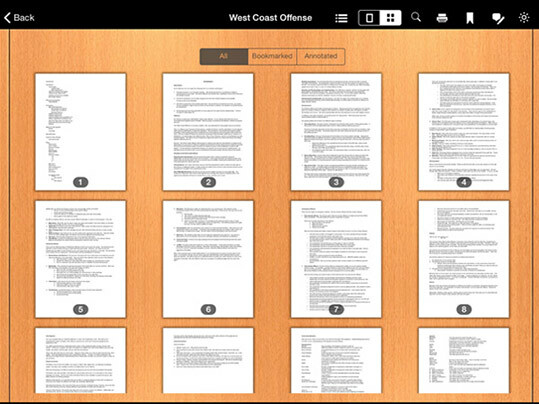 An eco-friendly alternative to legacy paper binders and wasteful printing, PlayAction® PRO is a "one-stop app" for teams in any sport and league. List of team sports we currently support. PlayAction® PRO's subscription model makes it a cost-effective solution for any team size. There are no hidden costs or additional setup fees. Just download the app, sign up, create your team and invite members to join. 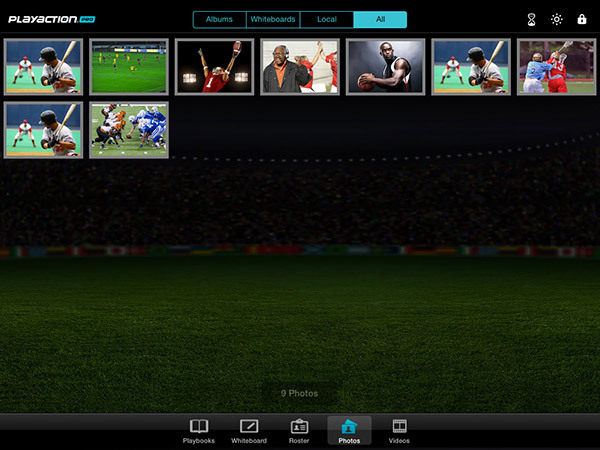 Via a web-based portal, team content is centrally managed, encrypted and securely deployed to each iPad. In addition, teams can remotely wipe any device that is lost or stolen. With the iPad®, teams on the move never miss a step. 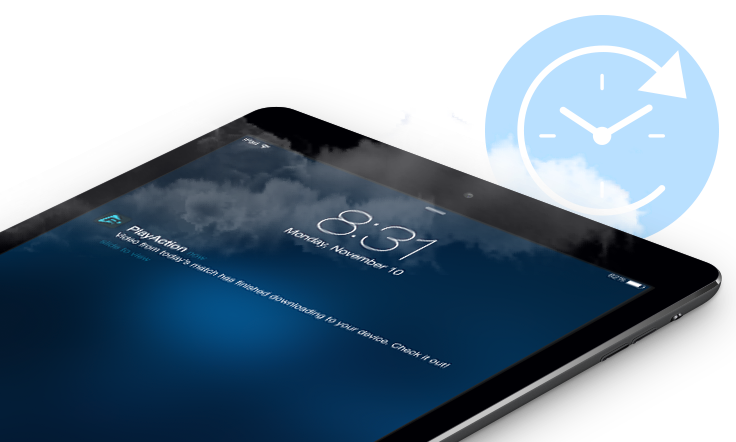 SleepSync®, our automated sync tool, ensures content is automatically synchronized with tablets, anytime, anywhere. 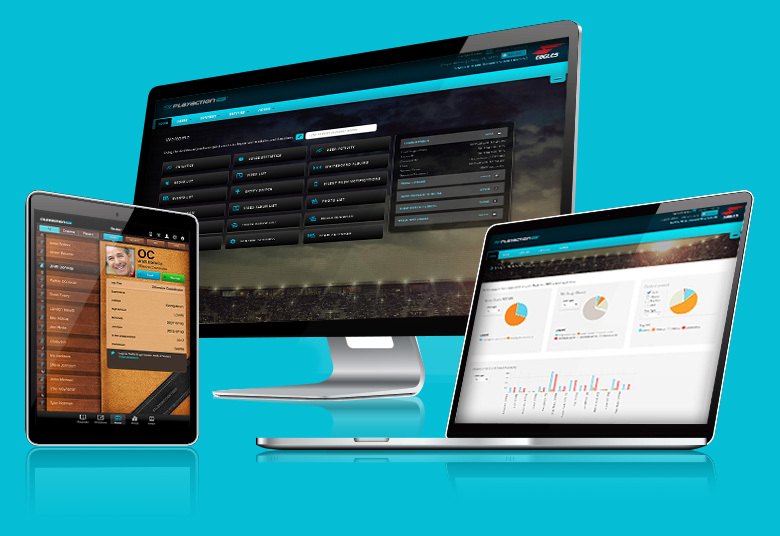 PlayAction® PRO is a mobile, agile software platform with high-level security features, ensuring your team content is always stored and encrypted, whether it be on premise or in the cloud. No wires? No worries. With SleepSync®, teams automatically sync remote data and push large-scale media content to securely-provisioned iPads while the tablets (and the team) are in "sleep mode." Available as an add-on dashboard tool to My.PlayAction.Pro. SleepSync® is a registered trademark of Digital Playbooks, LLC. 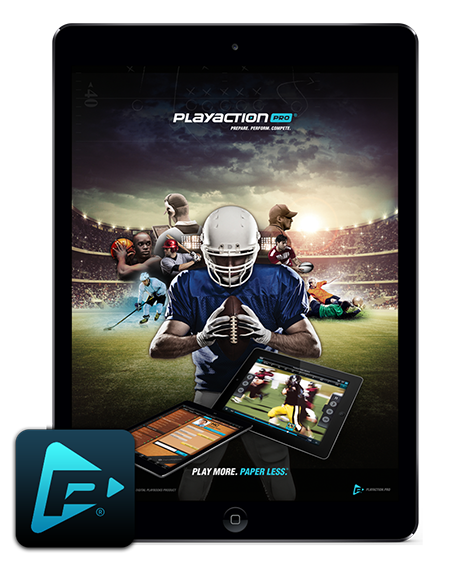 PlayAction®PRO, is now available for download from the Apple App Store. 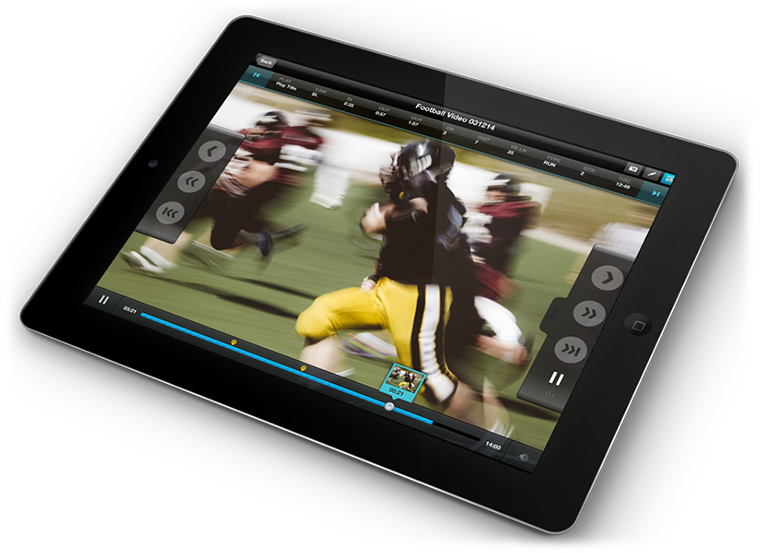 Built for coaches and players alike, PlayAction®PRO by Digital Playbooks, is a robust product suite perfect for any team sport around the globe. Whether your team is on the road or in the air, our Pack ‘n Play® solution keeps teams "in sync" with their latest video and interactive content. Our wireless router acts as a personal "hot spot" allowing players and coaches to access post-game HD video footage while on travel. Pack ‘n Play® is powerful and portable, perfectly sized for your backpack or back pocket. Pack ‘n Play® is a registered trademark of Digital Playbooks, LLC. 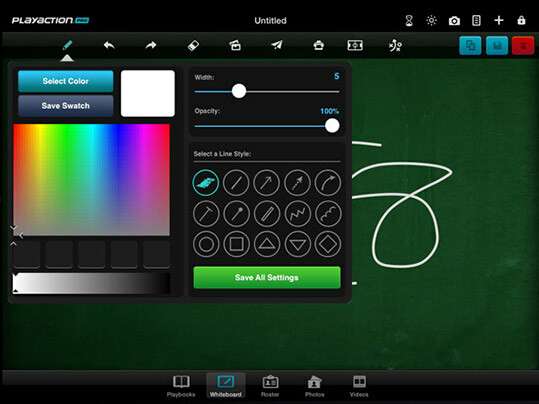 of users access the internet from mobile devices or tablets such as the iPad. Users studying on mobile devices are 3 times more likely to track their progress. Student athletes report an increase in motivation to learn when using the iPad. 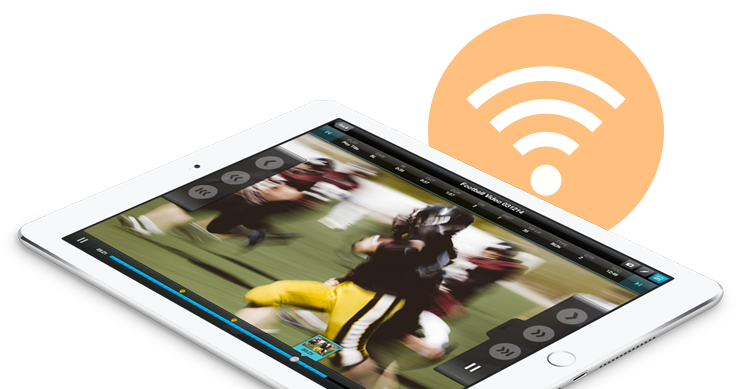 Shrink ‘n Sync® by Digital Playbooks, is an integrated media transcoder that enables Coaches, Video Coordinators and Editors to seamlessly compress and convert large-scale videos and media files for use on tablets and mobile devices. Our desktop client reduces HD videos to a fraction of their original file size with minimal loss of quality. Supported file types include WMV, MOV and AVI. Shrink 'n Sync® is a registered trademark of Digital Playbooks, LLC. Choose from one of three subscription packages, or build your own. Customize your subscription with a package that fits your team. For on-premise installation, setup, site licenses and pricing, contact us.